When it comes to an amazing crossover car, the 2016 GMC Acadia is the best in its class! If you're looking for a versatile car with amazing fuel efficiency, you've found it in the 2016 GMC Acadia! At Vann York GM, you'll find everything you'll need regarding GMC vehicles. Located at 321 Eastchester Drive in High Point, NC Vann York GM serves Greensboro, Winston-Salem, Kernersville, Jamestown, Thomasville, Lexington, Asheboro, and Burlington, NC. The 2016 GMC Acadia is more versatile than the 2016 Toyota Highlander. The 2016 GMC Acadia has an MSRP of $30,975 while the Toyota Highlander has an MSRP of $40,190. That's a huge saving of at least $10,000! What would you do with that extra money? Interior features of the 2016 GMC Acadia include a power sunroof, integrated cargo liner, interior ambient lighting, cup holders, air conditioning, remote keyless entry, remote vehicle star, tri-zone climate control, Bluetooth wireless technology, Bose premium 10-speaker system, navigation system, rear-seat entertainment system, power door locks, rear window defogger, and rear child security door locks. 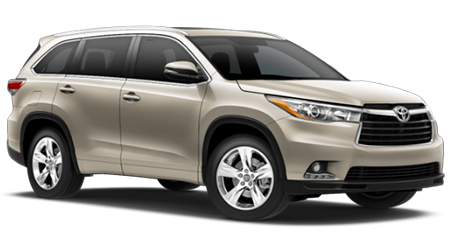 Features of the Toyota Highlander include a star safety system, Driver and front passenger advanced airbag system, adjustable seatbelts, child safety locks, and a tire pressure monitor system. 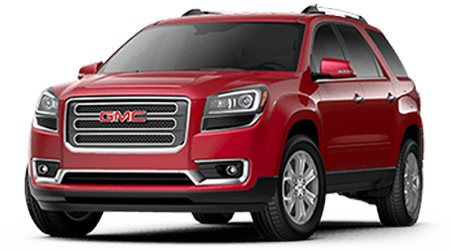 The 2016 GMC Acadia has a warranty that includes 3 years/ 360,000 miles bumper to bumper warranty, 6 years / 100,000 miles corrosion protection, 5 years / 60,000 miles powertrain warranty, 5 years/ 60,000 miles roadside assistance program, and a 2 years / 24,000 miles two maintenance visit. The Toyota warranties include 35 months/ 36,000 miles basic warranty, 60 months/ unlimited distance corrosion perforation warranty, 24 moths / 25,000 miles maintenance warranty, 60 months / 60,000 miles powertrain warranty, 24 months / 25,000 miles roadside assistance coverage. The 2016 GMC Acadia has everything you'll need in an amazing crossover vehicle! At Vann York GM, you'll find hundreds of amazing cars including the 2016 GMC Acadia at great prices! When it comes to excellent customer service, Vann York GM is the dealership that is provided!